Give your client’s Christmas party some real class with this simple yet sophisticated 2×6 inch holiday photo strip template. 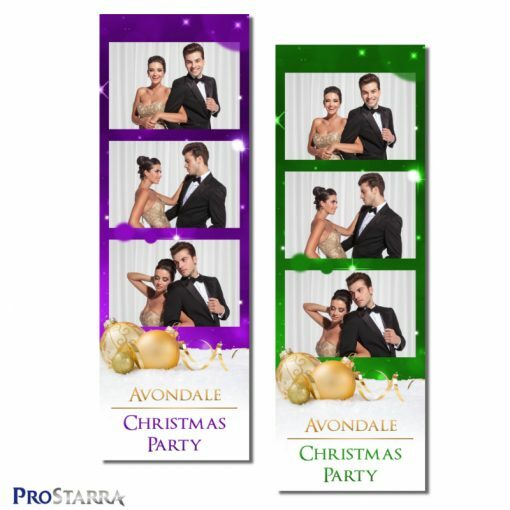 With the Christmas ornaments trimmed in gold, the layout comes in an assortment of complementary colors – all of which come ready-to-go so you can load them into your photo booth software and have it up and running in no time without having to touch Photoshop if you don’t want to. 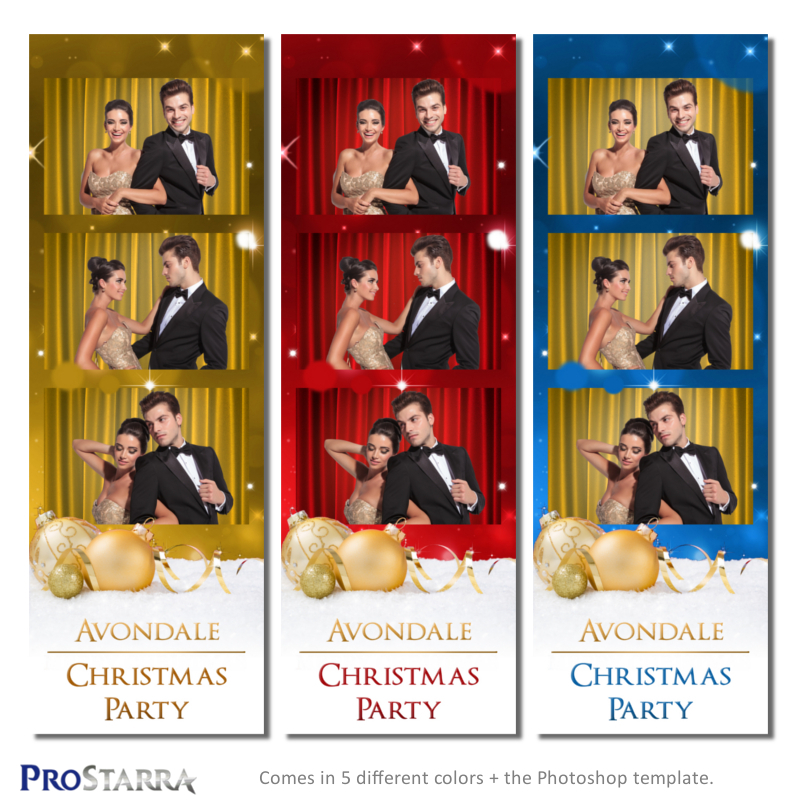 However, if you want to be able to fully customize the template, we also included a layered, organized PSD file along with a Photoshop Elements file. 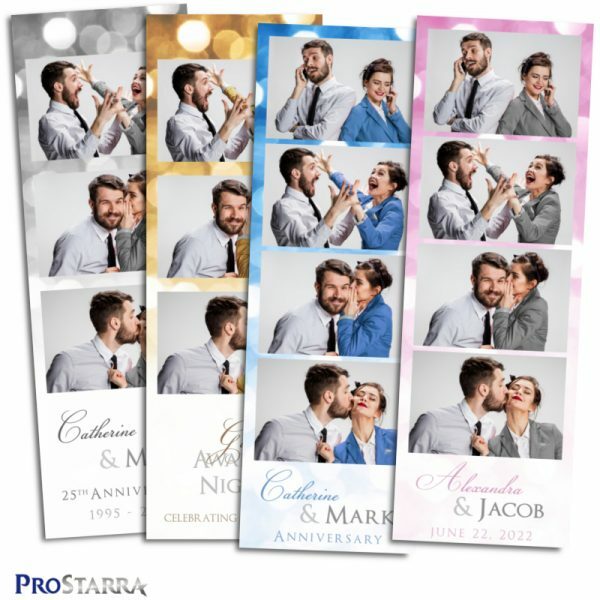 This template works in Breeze systems, Darkroom Booth, dslrBooth, and in many other photo booth software systems. For a lot of people, editing images in Photoshop isn’t their thing. If this is you, we’ve got you covered. 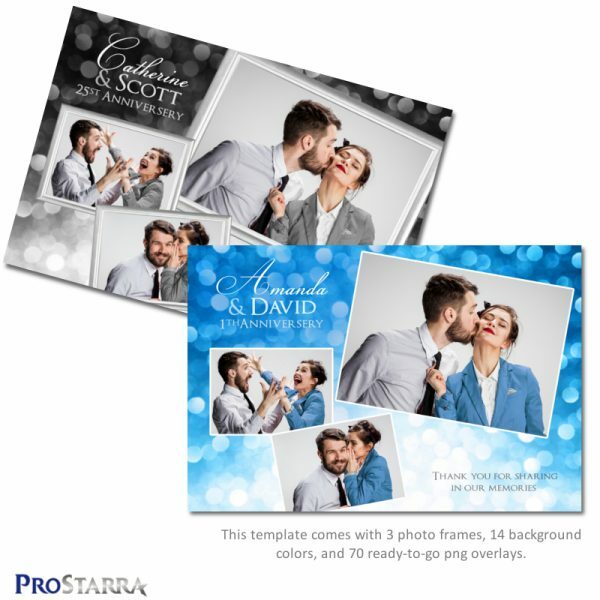 This template comes with 5 ready-to-go overlays in different colors that you can load into your photo booth software and be up and running in no time. The colors included are red, green, gold, blue, and purple. 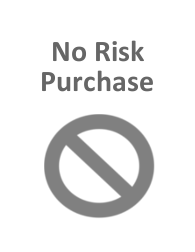 All fonts used in this template are available for free commercial use. We provide links so you can download all of them for free.